The majority of the population is a fan of chocolate. Most of us have a sweet tooth and many of us crave chocolate. As we get older, we become more aware of sweets we need to avoid and unfortunately that often includes the famous chocolate bar you find at your local grocery store, big box store, candy store or even at your local gas station. There has been much information shared on local news, tv shows, in newspapers and in magazines about the health benefits of chocolate. Usually the article or tv show will explain you need to eat 70% or more cocoa solids in order to get the health benefits found in raw cacao, but unfortunately that is only par of the story. How chocolate is processed, how long it is heated or dutched and what additional ingredients are added or taken away will determine the actual benefits of the chocolate you purchase. Most of us have learned that the healthiest chocolate is actually dark chocolate. But, beyond that, finding chocolate that is minimally processed or heated is key. I am aware of only one such “Healthy Chocolate” and that is a company called Well Beyond out of Salt Lake City, Utah. This company makes a brand of healthy chocolate called Beyond. These Beyond Belgian chocolates are sweetened with acai and blueberry. They don’t have the waxes, fillers and processed sugars that are normally found in candy chocolate. They are vegetarian, diabetic friendly, diet friendly and gluten-free. The great thing about Beyond Chocolates is that they also have third-party validation through ICT that verifies the amount of antioxidants cocoa flavonoids per piece of their chocolate. After verification, they can actually say that each piece of their chocolate is equal to over one pound of raw spinach in antioxidant content! Considering each individually wrapped Beyond chocolate is only 35 calories, 1 gram of sugar and 1 net carb, this is huge! I have personally tasted all of the varieties of chocolate that Well Beyond makes and I can honestly say they are all delicious. Although this is medicinal chocolate, it still tastes quite delicious. So if you are one of those people who felt that you were no longer allowed to eat chocolate, think again! Simply Change Your Chocolate. 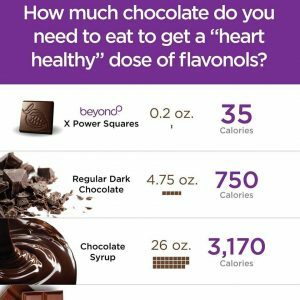 Well Beyond recommends that you eat four pieces minimum of their chocolate daily spaced out morning, mid day, mid evening and before you go to bed. This is because antioxidants that are found in this chocolate stay in your body 4-6 hours ideally. Therefore your body will need more antioxidants for peak performance. Those that are looking to lose weight may find that eating a piece 30 minutes before a meal will help curb cravings. Type 2 diabetics like myself may find that eating a piece strategically before every meal or a snack or dessert can help control blood sugar. I can’t tell you that this will work for you, but I personally have now controlled my type 2 diabetes completely without any prescription medications at all by simply eating four pieces of this chocolate daily and incorporating a supplement called berberine with my meals. If you can control something as serious as diabetes by eating chocolate, it is worth checking into in my book! 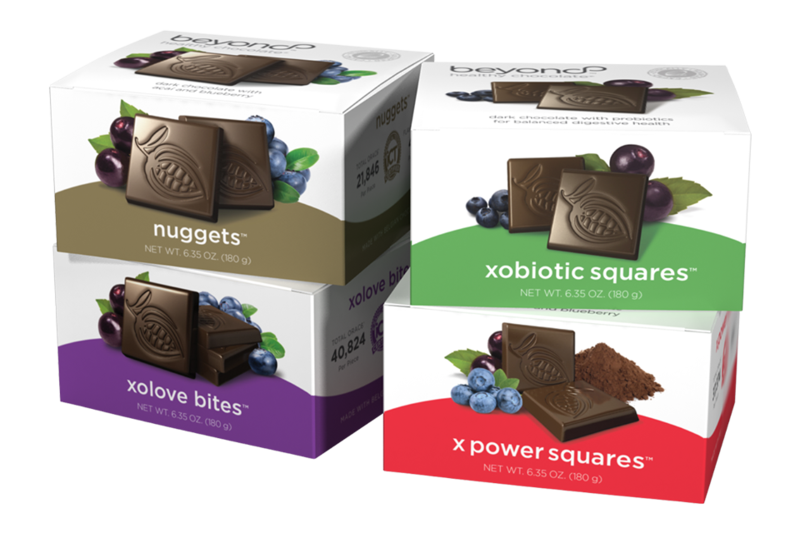 Well Beyond has a consumer division and a promoter division so if you want to order these healthy chocolates and other great products like their Xe Lite energy drink and the Well Beyond Chocolate protein shake, you can order direct at HealthyChocolateFix.com or call (941) 676-7300. For those interested in a home based business sharing what I consider to be the healthiest chocolate on the planet, you can reach out to Lynette Henk of Three Sons Marketing LLC. She is available at (941) 216-5727. This may be the fastest growing direct sales company in 2018 and current promoter positions are available. Contact Lynette to learn more about this healthy chocolate business that is poised to be the next Mars candy. PreviousOne Net Carb Keto Friendly Healthy Dark Chocolate offers Diet Tip!